Not Verified | Poor organization of the planes and gates. Our incoming flight had trouble having a free gate to arrive at. Our departure gate has been changed twice and delayed by 2 hours. Their explanation was that they were waiting for a plane to get out of a hangar. 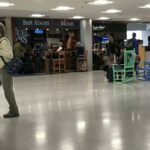 Not Verified | Probably the worst airport experience I've ever had. 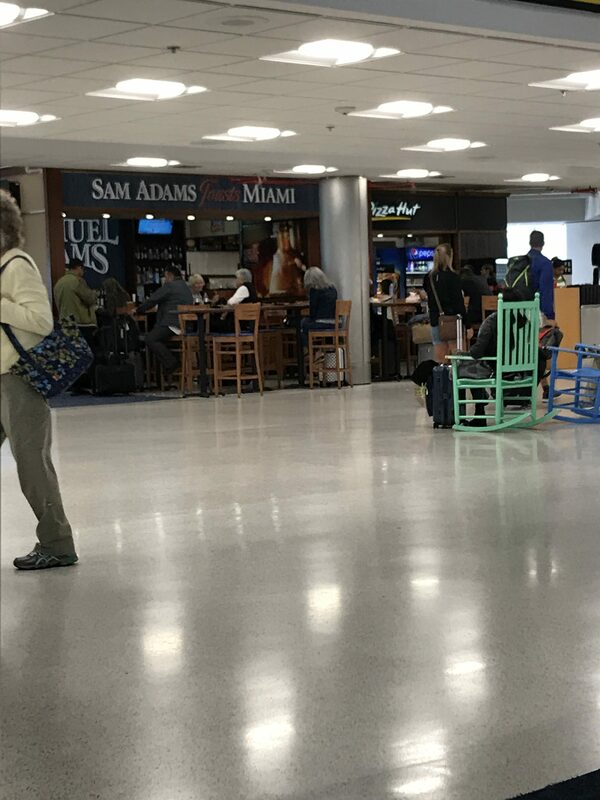 I was only there for a connection as I was travelling from MBJ- MIA then back to the UK. Customs in the UK is so simple and quite quick considering. The staff were so rude at customs in particular at security, they ignored you pretending they were speaking on the radio and couldn't hear. When we had to get our ESTA tickets it was a shambles as we had to do everything in 1.5 hours in time for the connecting flight. Instead of managing the queues one particular staff member kept shouting at me because I was using a different kiosk from my dad, which makes no sense because those questions were long so if there is a kiosk next to him it makes sense to use that - as I did on my way here 5 days ago. Other people were using more than one kiosk but she spent her time focusing on me instead of organising the queue. She kept shouting saying 'Mam Mam Mam' you can't use the kiosk, despite telling her 2 times our connecting flight was soon. The guy at customs was so rude, I'm sure that if you are travelling with a family member you're supposed to go up with them? But, we got yelled at and only my dad was allowed to go, I eventually went up and then a few seconds the customs guy called up another man who was after me - assuming he was my dad, I had to tell him we were not travelling together. In addition, we had to rush through security bear in mind by this point we only had 25 minutes left until we boarded the plane. My dad tried to ask one of the security women a question and she just pretended that she was listening to her radio and that it was so important, she didn't even acknowledge my dad. We kept telling them we were boarding in 25 minutes and no-one cared. Also when they give out blue cards when you go through security - the ones that determine whether you take your shoes off or not/take out your laptop. I just wanted to double check if I needed one as my dad got one and a few people before him did and she just shouted to 'go in that line'. Surprisingly we made the flight, and it was delayed by 45 minutes due to the manifest being typed up incorrectly. Not Verified | I've never been to a more confusing airport in my life. The signs were not straightforward. On our boarding pass, it said Terminal CE, but none of its signs stated that, it will state Concourse and a list of letters that did not make any sense to us, which was not helpful at all. Our flight was delayed by 5 hours because the captain was unable to arrive at the Miami airport due to the weather in Tampa, which is completely reasonable. However, the situation could've been handled much better. The people that worked outside the gate were unhelpful. They pretty much expected everyone to have smart phones and therefore were negligent in giving us, customers, regular updates as to when our flight will arrive. They only updated people who stood waiting in line for 15 minutes, instead of just efficiently announcing it to the general public, not that their updates were helpful to the individuals that stood in line because they kept pushing it to every hour, so it was very hard for customers to plan accordingly. By giving us an incorrect ETA, we were not able to decide whether to rebook to another flight or not. If we had known that the flight was going to be delayed for 5 hours, we would've gotten on a different flight. But the people at the gate kept ensuring us that it would only be an hour delayed, and then another hour if we asked again and again. This misinformation is unacceptable. In addition, the airport was freezing. I had to wait in line for 30 minutes at the Service Center for blankets to be told there were no clean blankets. I would check in with them a few more times and was told there were still no clean blankets available, during this 5 hours waiting period, this huge international airport did not think to provide blankets. So not only was my flight delayed, I caught a fever due to waiting at the cold airport for 5 hours, and had to call out of work the next day. 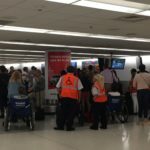 "well staffed at every turn"
Not Verified | Dealing with a late international arrival, my connection was on time and I really had to hustle! Signage was confusing for getting to baggage, collecting it, navigating customs, rechecking bag and then security finally! It was around 6am and MIA was well staffed at every turn and due to crowds and rushing I overlooked my laptop and ipad after scanning all my carry on stuff. I was down the hallway running to flight when they caught me and delivered those! Thanks Miami TSA! "like every employees first day"
Not Verified | The people running this airport should not be aloud to pump gas. Unbelievable immigration, baggage claim, security checks. It’s like every employees first day. "Your flight boards in 5 minutes" (should have left 40mins ago), "Your flight is now boarding at a different gate" (1/2 mile away), "Now boarding in 40 more minutes". Never again. 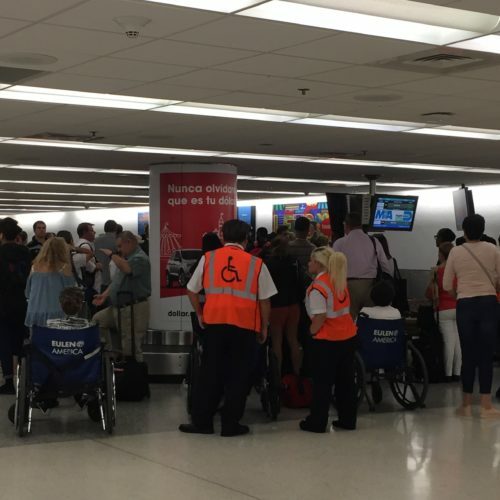 "lightning delays only at MIA"
✅ Trip Verified | Another delay on arrival and baggage wait. Not sure why these “lightning delays” only happen at MIA and not FTL or other South Florida area airports. Flight arrived at 8:30, it’s now 10:30 and still waiting on bag. 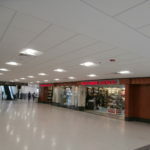 Best to not check in bag for MIA arrival, or fly through other airport. You would think whoever runs the place would find the way to do better. ✅ Trip Verified | This airport is the most unorganized establishment, and my experience here was horrific. Security check in terminal D was where I needed to be at. Without explanation, I was asked to go to Checkpoint E. Get to checkpoint E, asked to go to F (10 min walk). Get to F, go through security, walk 10 min to just come back to see the original security checkpoint area I was supposed to go through! Absolutely unacceptable. 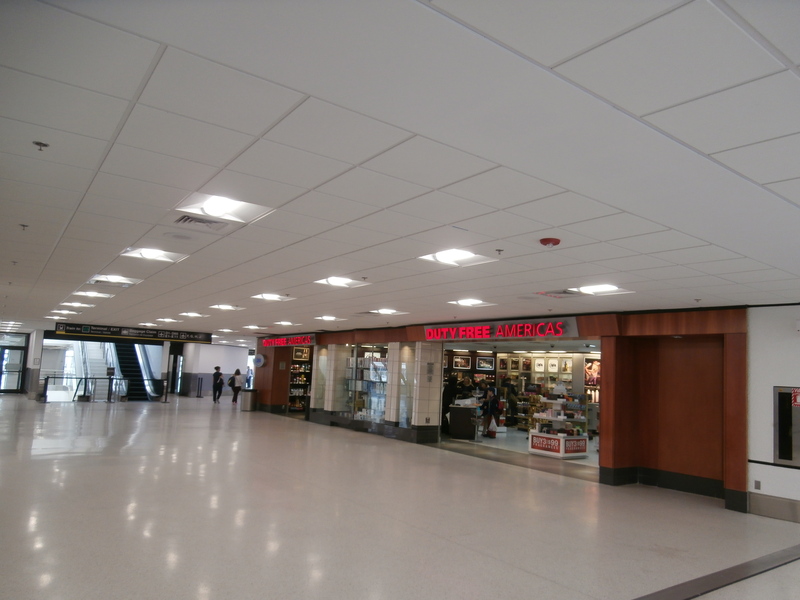 Working for a city, my self, I am appalled at this airports lack of customer service. You want to attract tourists, get your airport crew on the same page, talk about customer service to be a number one priority! Take a page from my city airport system - Houston Airport systems...look them up! 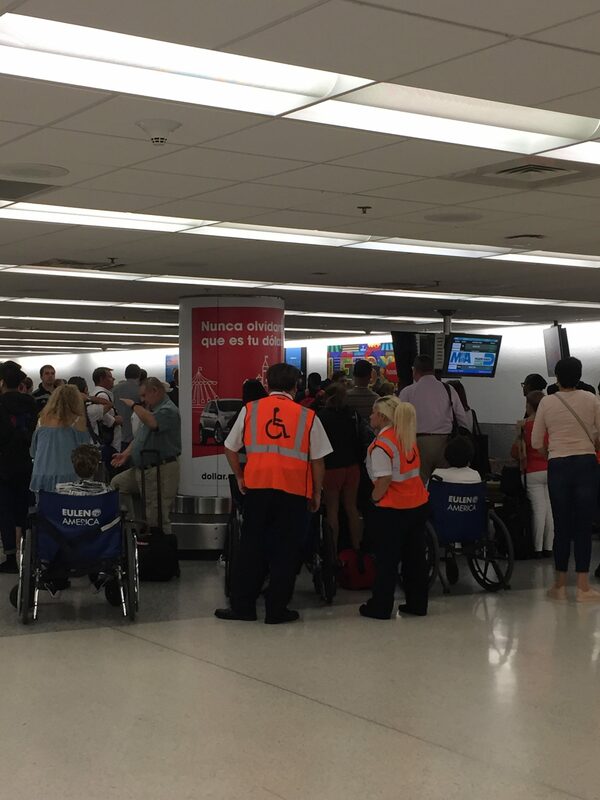 Not Verified | I have never experienced a travel experience as horrible as that of the Miami International Airport. From Check-in, all the way through TSA. The whole system is a disorganized, unprofessional mess. There was not one indication of competence anywhere in that hellish place. I promise that I will never visit Miami again. No way will I risk going through that again! ✅ Trip Verified | I have been traveling throughout the western states for the past week and a half. I have been in 7 different states, and unfortunately, my home state of Florida, the airport is by far the dirtiest. It is an embarrassment. The floors, the bathrooms, the seats are filthy. Developing countries have more pride and cleanliness. "staff members have the worst attitude"
✅ Trip Verified | Horrible airport. Signs were not clear for security check points and terminal J TSA sent us all the way to H security check point for precheck only to be routed through the wrong line. Terminal employees cut in line and held the line up at check points. All Bathrooms are nasty, staff members have the worst attitude and lack professionalism. Restaurant was fully staffed but no one was “working”. Obviously there was a full bar and no one knew how to make a Mojito. Hope I don’t have to move through Miami soon.